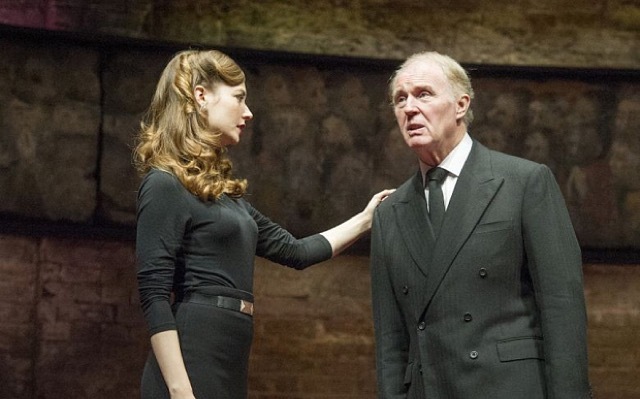 Are we shocked by “King Charles III”? I was lucky enough to be attending this London long running play by Mike Bartlett between two British historians, Rebecca Fraser, who is completing her new History book on characters from the Mayflower and Munro Price, author of the recent « Napoleon, The end of Glory ». After a lovely Dover sole and white wine at J Sheekey’s around the corner, we were in perfect form to watch this almost Shakespearian drama. Wonderful review Laure! I am now dying to see this play. The Queen may not give her Royal Seal of Approval, but it sounds most intriguing. Is Randy Andy mentioned in it. Rebecca has been courageous to deal with this subject matter. Love your account. Your blog is terrific. A great idea that all us Francophiles are looking forward to reading. The play sounds fascinating, so fascinating as to encourage taking a trip across the pond. Brava! Wonderful review! Want to see it! The play sounds wonderful; a good reason to cross the pond. Happy to have your morning phone call and your friendship. Bravo Laure! quelle bonne idée, même pour les Parisiennes! A suberb review that induces to rush to London and see it!